An Everglades fly fishing experience is unlike any other. Anglers venture deep into the backcountry of Everglades National Park and lose themselves in a labyrinth of channels and mangrove islands. With every extra mile, cell phone reception grows weaker and the waters grow richer. Out here, it’s just you and the fish, and many will tell you that it feels like casting lines in water that no one has fished before. 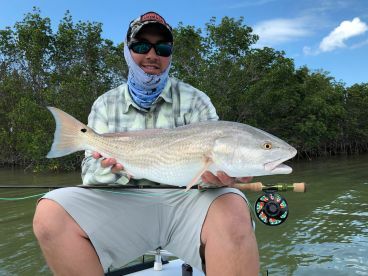 Everything in these waters is fair game for the fly fisher, from Redfish and Speckled Trout to Snapper, Grouper, and Sharks. 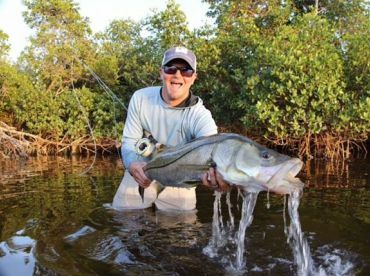 The backcountry stretching from Everglades City and Chokoloskee down to the Keys offers 1.5 million acres of shallow water fly fishing opportunity. Add to that a series of freshwater lakes and canals on the mainland, and it’s easy to keep casting flies around here all year. 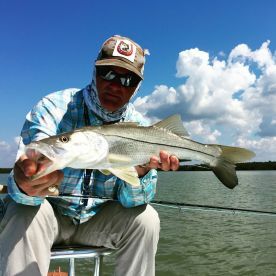 Readily abundant in the ‘Glades, Speckled Trout keep many fly anglers preoccupied on the flats all year. 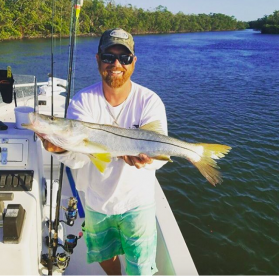 If you can resist the temptation, however, it’s worth heading deeper into the backcountry for a steady supply of Tarpon, Redfish, and Snook. 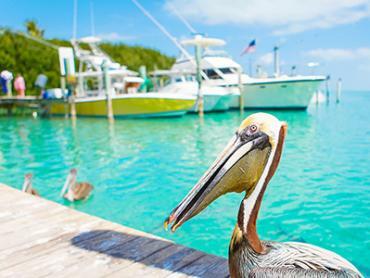 You’ll find these prizes throughout the entire park, deep in the channels, feeding on the flats, and cruising along mangrove shorelines. Some of the best fly fishing around here happens in winter, when you have a fair chance of catching all these species. 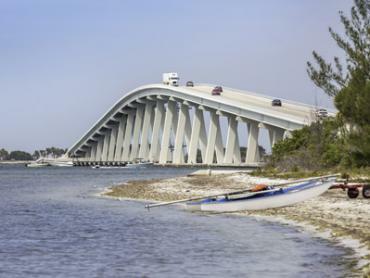 You’re likely to hook into Snook and Redfish on any given day. 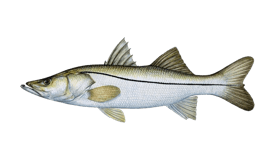 Sight fishing for Snook is best in winter and spring, whereas Redfish tend to steal the spotlight in autumn. 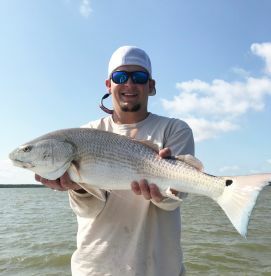 Schools of tailing Reds on the flats give fly fishermen plenty of reason to get out on the water when it’s mostly deserted in fall. 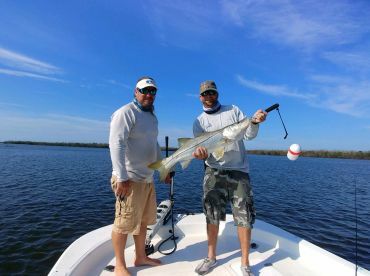 Tarpon reach their peak season in the Everglades from March through June, but you can enjoy fantastic fly fishing for the Silver King between December and February when the weather is warm enough. 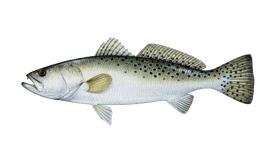 In fact, you might spot as many as 100 of this fish during winter and early spring, many of them in the 60-150 lb range. Yet another reason to cast a few flies in the Everglades is the stellar Bass fishing. Largemouth Bass in the canals will keep you busy through winter and well into spring, when anglers catch hundreds of this fish in a day. You’ll find Largemouth Bass in the canals as far north as Chokoloskee all the way down to the tip of Florida’s mainland. 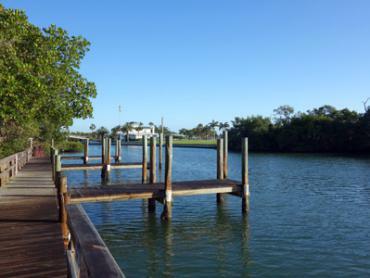 Holiday Park is a popular launching point, where fly fishermen have access to multiple canals running north, west, and south. 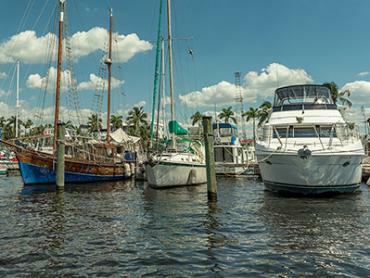 One of the best canals to fish is the L67A, which runs from Holiday Park to the Tamiami Trail (highway 41). Freshwater fly fishing in the ‘Glades doesn’t end there. After all, this expanse of marshes and wetlands used to stretch all the way to Lake Okeechobee before modern development, and many Everglades fly fishing guides still head there for Largemouth Bass, Peacock Bass, and Bluegill. One of the best times for sight fishing on “the Big O” runs from November through March, when resident Bass are spawning. Keep an eye on the water level, as it can unexpectedly change from year to year and may impact fishing conditions. If you plan on fishing the shallow waters of the backcountry, an 8-weight fly rod will stand you in good stead no matter what species you’re after. 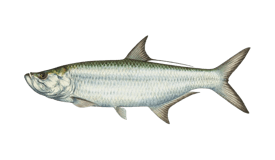 If it’s a Tarpon or Snook you have your eye on, try a 9 to 12-weight rod. Flies imitating natural baits like Shrimp, Crab, and small baitfish work well. 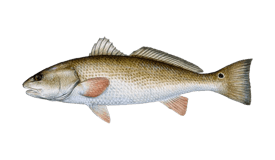 Clouser Minnow prove effective for Snook and Redfish. For freshwater Bass fishing, locals recommend a 5 or 6-weight fly rod. You’ll want to bring your highest quality gear. Fast action fly rods are essential. You can catch Largemouth Bass using a wide variety of lures, from bugs, poppers, and gurglers to bucktails and streamers. Other good fly patterns for this species include the Wooly Worm and the Muddler Minnow. You can catch Peacock Bass on a popper or streamer.